Great search engine optimization (SEO) is critical to your business success. It provides you with organic traffic, better conversion rates, and puts your business on the virtual map. This basic, non-technical introduction to e-commerce SEO is designed for beginners without much (or any) background or experience with search engine optimization. Here we have provided the essential tools you need to get started right away and help boost your store’s search engine rankings. Search Engine Optimization is a process that organically improves the search engine rank and visibility of your website. The process itself includes various techniques that together boost your rank and in turn bring more visitors to your site. Each technique has a different focus, but they are all designed to optimize the coding, content, and organization of your site to enhance its authority and connect you and your potential customers. Good SEO improves the user experience on your site, too. Search engines don’t see like humans do; they don’t perceive your website’s images or understand what graphics represent. Instead, search engine spiders crawl your website by reading the code on it. As they do, they index pages and store the information for use later. The search engine takes the indexed data and applies algorithms to it to decide which pages are relevant to searchers. You may have a site filled with professional quality, stunning images, but spiders can’t see any of them without text. They just appear to be blank space. In fact, some websites filled with interactive content and Flash animations are all but invisible to search engines. How do you deal with this problem? You include tailored, descriptive text all over your website to make it stand out to spiders crawling for data. You organize your pages in a way that will make sense to these spiders and allow them to easily access the entire site. You make sure your site has the right working hyperlinks to authoritative sites, and you ensure that spiders can read and follow them. And finally, you work on using the right keywords wisely. It is true that SEO is a very complex area. This non-technical introduction doesn’t delve into complicated details and instead was created to give people starting out with SEO the basic tools they need to understand how SEO works. Even so, you’ll need this foundation; there are many important technical issues surrounding good SEO, but you can learn them after you understand the basics. Thorough research and planning with regard to keywords, including an assessment of how your competitors use them, is essential to great SEO. To improve your site, you need to know which keywords people will most likely use to find your site. Choosing the wrong keywords for your campaign can render the entire thing ineffective. A keyword is a specific word or phrase that defines what a web page is about and describes its content. They are distilled mini-summaries of what the page covers. Therefore, as spiders find different keywords and index them, they are able to direct traffic in a way that yields useful results based on those keywords. As you decide which keywords and keyword phrases to use on your site, make sure they are accurate and describe exactly what can be found there. You also need to ensure that these keywords are used naturally in the content; your writing should be clear to both spiders and human readers, so you need to nail down the message and syntax of your content. Remember, search engines are pretty smart these days. You cannot simply litter your site with keywords and draw engines. The engines recognize this kind of keyword salad writing, and if that’s what your site is filled with they will flag it as spam. Obviously keywords are critical to SEO success. Choose them based on careful research of these questions: which keywords accurately describe your homepage and product pages? Which long-tail keywords are right for your specific content and audience? What are your competitors doing with keywords, and how can you differentiate your own offerings? Tackling the first question, make a list of keywords and keyword phrases that are most relevant to your site, and to people looking for sites like yours. Consider ranking difficulty, relevancy, and search volume as you assess the possibilities on your list. Relevancy to your business, products or services is your call, but ranking difficulty and search volume aren’t. Use a keyword tool like Google’s free AdWords Keyword Planner or Moz’s keyword tool to research your highly relevant choices (we will say more about these tools and others below). Pick options that have both a high exact match local search volume and a low difficulty score. A high exact local search volume means that among people searching locally to your business, there is a large number of people searching for that exact keyword. A low difficulty score means that the keyword is not overly competitive — a smaller number of sites are using that keyword so you have less competition if you use it. Avoid very general or broad keywords, and keywords that are highly competitive. If your keywords are too broad, fewer people who click through to you will find exactly what they’re looking for. And if your keywords are too competitive they are unlikely to help you rank well in searches. For example, if you sell high-end women’s couture shoes, don’t choose shoes as a keyword; it is both too broad and too competitive. It is too broad because of all of the people searching for shoes, few of them will want what you have. And it is unlikely that shoes, which will attach to so many sites, could be anything but a very high competition word. Unless you’re a pretty major powerhouse you’re probably not going to be able to rank first over Nike and Payless Shoes, for example. Instead, generate different keywords and keyword phrases that describe high-end women’s couture shoes and check them with the keyword tools. Long-tail keywords are keyword phrases that identify a very specific search target, for example: tropical plant nursery San Diego. If you are a San Diego nursery that carries tropical plants, this is a far better keyword choice than, say, plants or nursery; and although tropical plant nursery and San Diego nursery are better, the long-tail tropical plant nursery San Diego is the most specific. When people click through on your site from that search, you can be fairly sure that a) your business is what they’re looking for, and b) they’re much closer to buying than someone just browsing plants. Even when some long-tail keywords you’d like to use may not be part of your daily business to the extent that the keyword can appear in your product descriptions or landing page, you can still use them in other ways. For example, creating a blog allows you to post multiple pieces of content that showcase long-tail keywords as well as your authority in your area. Don’t ever blanket your pages with keywords in jumbled lists or scattered about. This kind of keyword stuffing is unpleasant for customers, and in the end search engines reward higher quality content and penalize spammy or manipulative tactics. Write for your customers instead and include keywords in a natural way. 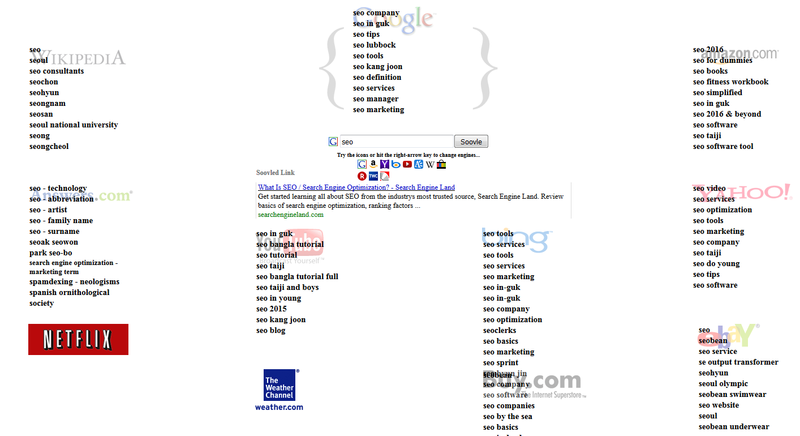 This example from seopressor.com demonstrates what keyword stuffing is. In this short piece of text custom cigar humidors are mentioned 5 times, and this piece of text also doesn’t read well and provides little value. Watch out for keyword cannibalization as you plan and execute your SEO strategy. Keyword cannibalization means that multiple pages within one website are competing against each other for the same keyword — basically every page has very similar text on it. There’s enough competition out there without competing against yourself, and this kind of pattern confuses search engines and leads to more difficulty for you. To avoid this problem, make sure your main website pages have different keywords than your blog posts and ongoing content. This is simple so long as you make spreadsheets for your site pages; this lets you compare pages and ensure that exact keywords aren’t popping up on more than one page. Identify your main competitors in the online space and assess their websites based on several criteria: how often do they use the keywords you want to rank for? How are their websites structured? How are they navigated? Do they use deep links that lead not to general home pages but to specific, indexed pages on websites? What are their popular products and pages? In what ways should you emulate their website, and how will you differentiate your page? If you could redo their page to make it better, what would you do? By exploring the answers to these questions you can identify a set of goals for your page and some concrete steps you can take to improve your page. Soovle. Soovle can help you with keyword research because it is a customizable engine that aggregates the keyword suggestion services from all of the major search engines, including Amazon, Answers.com, Bing, Google, Wikipedia, Yahoo, and Youtube. In other words, it lets you see how the engines choose the keyword suggestions that pop up in the search box as you type in your search criteria. Google AdWords keyword planner. Google’s Keyword Planner in AdWords allows you to assess how Google thinks a list of related keywords might each perform. It also lets you budget and choose competitive keyword bids, create new keyword lists by picking and choosing from existing lists, search for ad group and keyword ideas, and view historical search statistics. SEMrush. SEMrush functions a lot like Google’s Keyword Planner in that it offers data on estimated traffic, keyword difficulty scores, and site auditing, but it provides competitive analysis as well so you can see which keywords your competitors use and how they use them. SEOmoz keyword difficulty tool. This one works just like it sounds; it provides you with analysis of how competitive your possible keywords are. Ubersuggest. This free keyword tool helps you create long-tail keywords using a broader, base keyword. Keywordtool.io. This free tool uses the autocomplete feature on Google to help you generate keywords. When you’ve chosen the main keyword for any given page, you need to use it well. The keyword should appear in the following places on a page: descriptive meta tag, headers, image alt tags, image file names, page title, paragraph copy, product descriptions, subheaders, and URLs. Some of these places are probably intuitive to you; it seems obvious that including the keyword in your title, headers, and subheaders helps spiders find the page more effectively. However, many of these other areas get overlooked fairly often. Depending on the sitebuilder you have placed your store these will be in different places, but check out the Help section for more concrete examples on how to edit. Each website needs a strong descriptive meta title tag. A descriptive title tag is a focused summary of the entire page. The short text descriptions that generally shows up in each entry on your search results page are descriptive meta title tags. (They also show on the search engine window tab). Ideally these should be about 65 characters max and include the right keywords for your site. This title tag is your website’s face for the world; it needs to make a strong first impression on searchers. It is what convinces them to choose your result rather than the others on the page, so you need to ensure they are accurate and interesting to your target audience. You also need to make sure your image alt tags, title tags and image file names include your keyword. Remember, spiders can’t see your images. The only information they get about them is in the alt tags and file names, so be sure they are optimized in this way. Keep in mind that alt tags and file names are not visible to users, only search engines. Alt tags were created for the visually impaired, so alt tags should have a keyword, but also be descriptive of the image so they understand what it is about. Title tags are visible to a user when they hover over an image. If your website doesn’t have enough copy, it will get overlooked. This is why you must have some sort of paragraph copy on each page; it is a source of information for spiders. Similarly, product descriptions should always contain keywords so that people looking for your products can find them. As mentioned in the above section on long-tail keywords, you can use paragraph content to feature long-tail keywords and then lead visitors to product pages from there. Finally, do not use URLs that are gibberish for spiders. Include keywords in your URLs along with real words that are memorable and easy to understand. Avoid long numeric sequences in URLs anytime you can. Content audit. Before embarking on a new SEO strategy, conduct a content audit. This is a careful investigation of each of your site’s pages, keywords, images, and other features. Your goal here is to identify weaknesses and gaps in the page so you can create content to fill them. You will also want to assess what has worked in the past and what hasn’t, along with the factors that made a strategy effective (or what caused it to fail). Quality first. Only high-quality, relevant content can win the search engine game. Poor content causes search engines to penalize your site, and it also lessons your authority and brand strength. Write extensively, edit carefully and enlist outside help as needed. Targeted, original content. Take your intended audience into account each time you create new content. What are your customers and potential leads interested in? Are you offering something for everyone, from expert to novice? Give them what they’re curious about, and do it well. Along these lines, the more unique your content is, the more likely it is to succeed. Make sure your content is original. Organization. Your site and its content must be well-organized. No visitor should ever have to struggle to find what they’re looking for, and if they do they are likely to leave for good. Write creatively, but also accurately. Don’t be afraid to be creative as you look for new topics to write about. Using the example of the couture shoe seller from above, a good range of creative topics might include the history of the high heel, a breakdown on current celebrity shoe trends, and how to maximize foot health. Just be certain that these ideas are researched thoroughly and add value to readers. Guest blogging. Remember, you can shop some of your best ideas around and find guest blogging opportunities. This means your content will be placed on someone else’s blog and you usually get a link back to your site. This is a great strategy because skilled people in an industry can help each other create more content that works and cross-pollinate for leads. Social media has an important effect on SEO and web search results. This is because Google looks for social media signals — signs that your content and pages are engaging with many customers, getting shared, and growing — when it values your brand and website. Each of your product pages and blogs, and of course your home page, should have social media buttons in plain view. And remember, the high levels of engagement you can get from contests, giveaways and other social media events all drive traffic to your page, further strengthening your SEO position. Choose the right social media platforms for your business. Because Google is so dominant among search engines, you should always use Google+. Due to sheer volume of users, you should always use Facebook. Twitter is another important platform for most businesses, especially those that prompt reviews from customers. Finally, YouTube is a source of endless wonderful opportunities to create free commercials for your business. Beyond these three big platforms, the nature of your business will largely determine which platforms most deserve your attention. For example, LinkedIn is a great choice for B2B businesses. Pinterest is very useful for businesses that appeal to women and DIYers. And finally, businesses that rely on great visuals will benefit from a presence on Instagram. SEO is a complex topic and this guide is just for starters, but you don’t need to be an expert to master the basics. If you want to show up when people search for your products it is necessary to dedicate some time and efforts towards these tactics. Organic SEO is cost-effective and it works and this isn’t going to change anytime soon. Furthermore, failing to invest in SEO means you’re likely to be eclipsed by competitors, because smart businesses invest time and money in SEO. If you’re ready to grab more of your online market share, implement your ecommerce SEO strategy based on these best practices today.